How to make the most of that work from home life. So many jobs are reducing office space and giving their employees the opportunity to work from home. 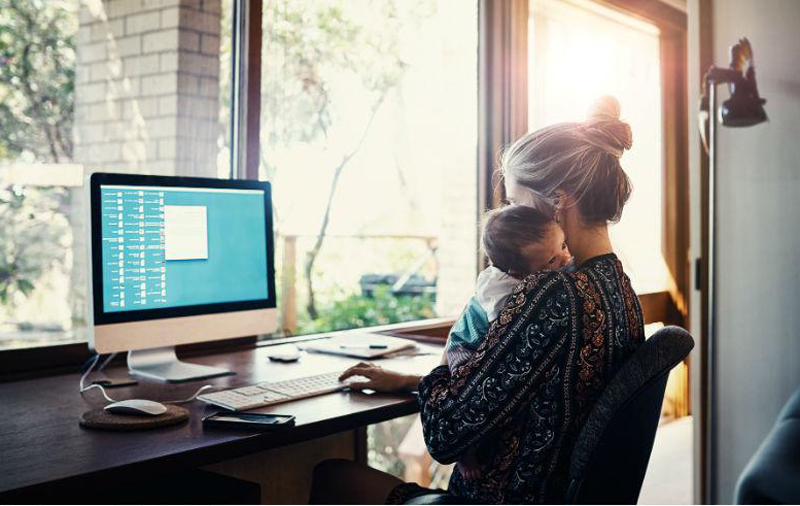 While many people jump at the chance to work just steps away from where they sleep everyday, being productive at home can be difficult with so many distractions in plain sight. This goes double if you live in a cramped apartment with limited space to spread out and work. You can choose to work in a café or a shared work space — but there is only so many espressos you can drink in one day and shared spaces can get pricey. So what are some of the best ways to make the best of what you’ve got? Here are the best ways to build a home office in your small living space. [post_ads]Now that you are working from home — it is up to you to create the office you have always wanted. So, you should find out what that really means. Some people covet a desk with a window view, while others enjoy less distractions facing inwards. Finding the balance between your comfort level and your productivity is key here. 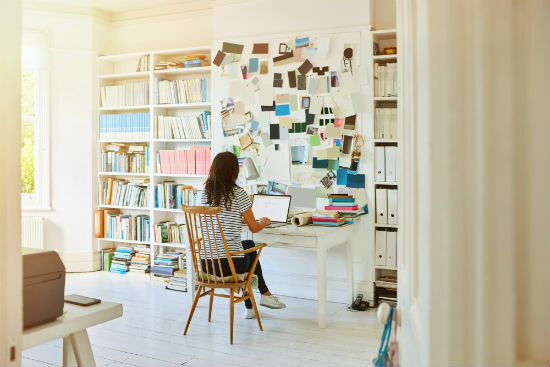 So make sure you know the direction you want your workspace to be facing in your apartment before you rearrange everything in your living space. In order to make your home office a place that you actually want to work in, you should not spare any expenses making it as comfortable and as inviting as possible. Find a corner where you can put a nice table or desk with the comfy chair your old office would never have provided you. You should also think about treating yourself with a good home audio setup to listen to music and podcasts while you work since you won't have to keep your headphones in all day to. By outfitting your work zone with an inviting atmosphere that resembles a nice office, you will be more ready to get things done. Not everyone has the luxury of having a separate room to use for their work from home station. So for those of us with limited space in their apartments, building dividers in your living room to carve out this at home cubicle can make all of the difference in the world. If you position a bookshelf or a couch to close off your workspace away from the rest of your living space, you can easily make the distinction between work time and at home time. If you’re living space is too small to rearrange to fit a full work desk, here’s a little hack that can help. By keeping a fold up dinner try in a closet — or even behind your couch — you can set up shop everyday from your couch.